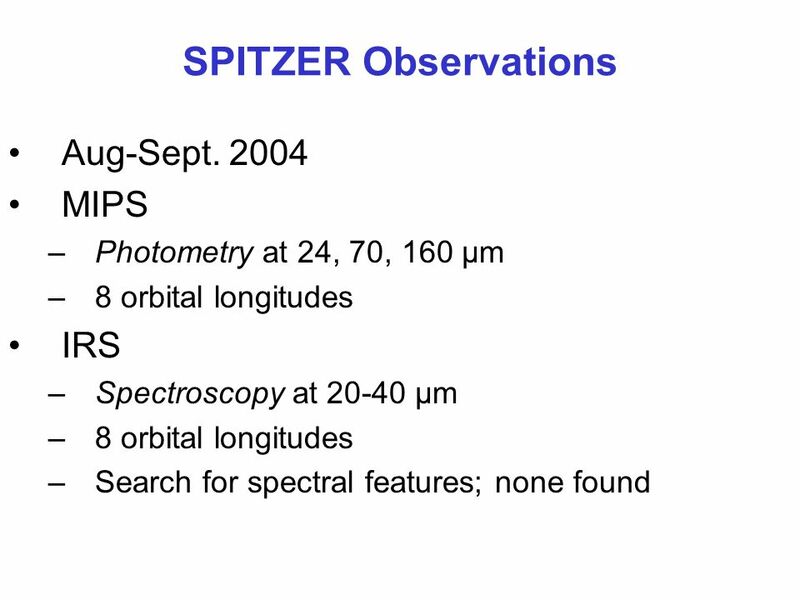 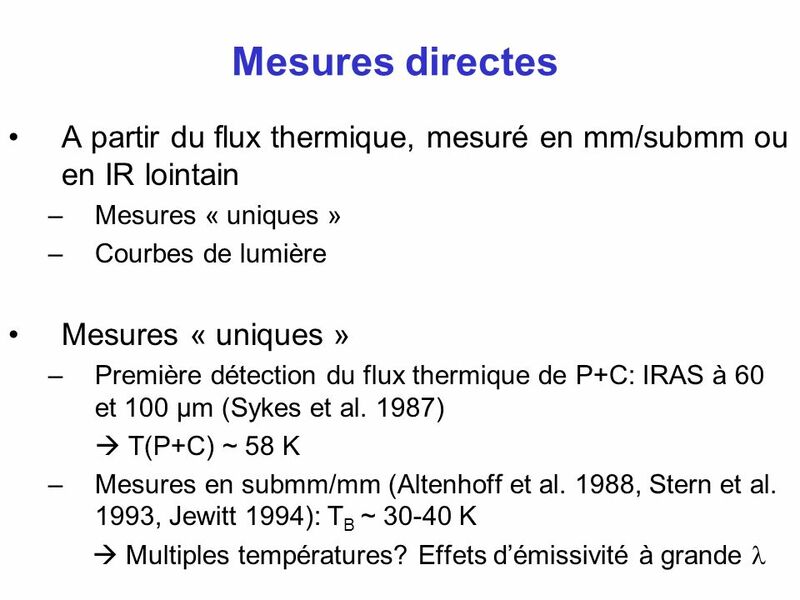 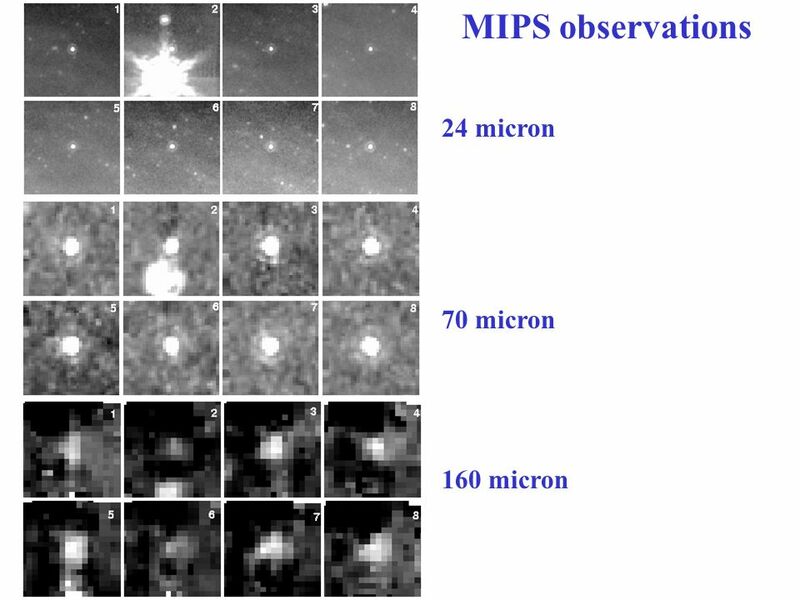 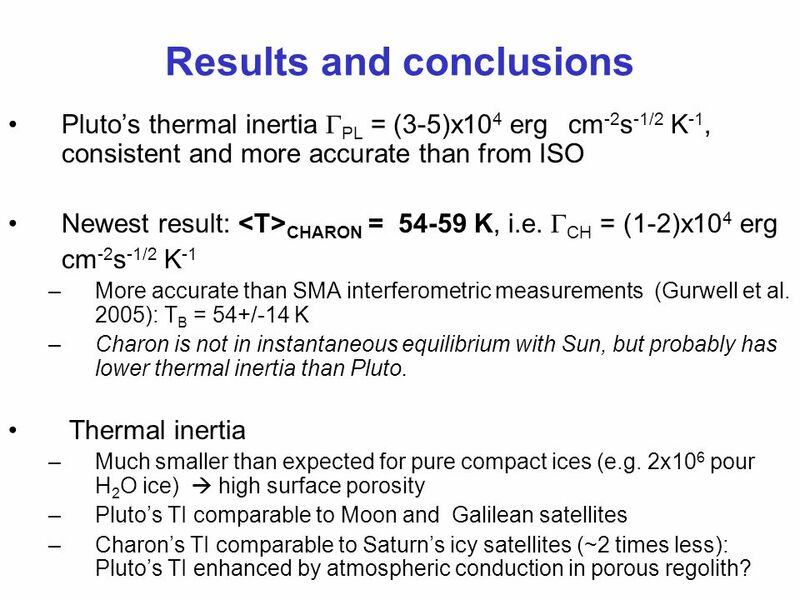 Pluto’s thermal inertia PL = (3-5)x104 erg cm-2s-1/2 K-1, consistent and more accurate than from ISO Newest result: <T>CHARON = K, i.e. 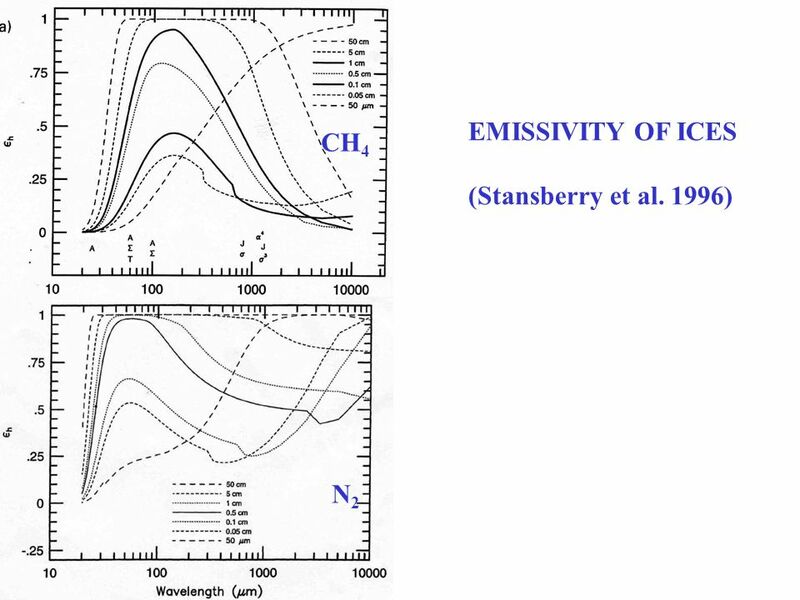 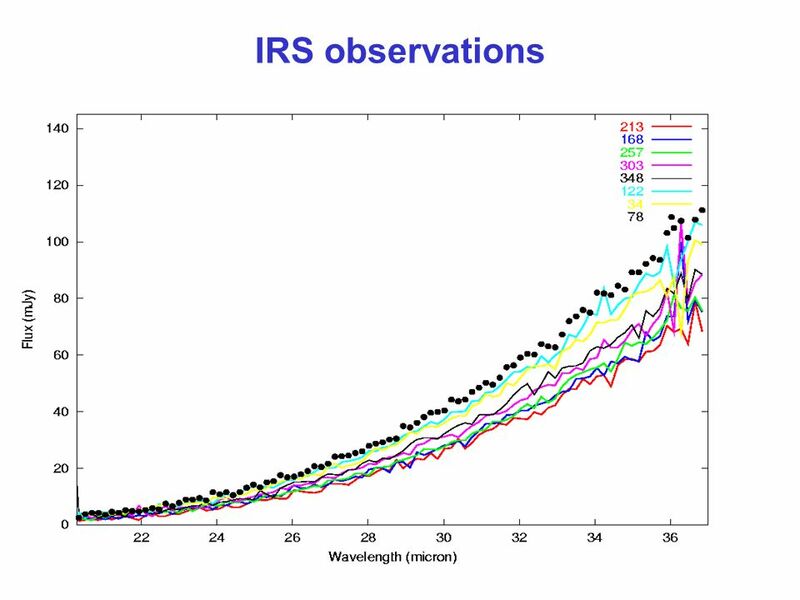 CH = (1-2)x104 erg cm-2s-1/2 K-1 More accurate than SMA interferometric measurements (Gurwell et al. 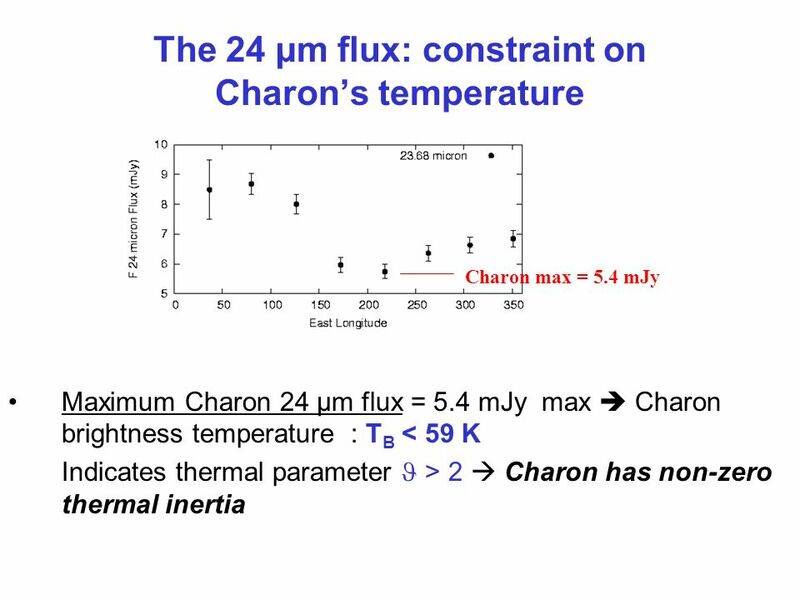 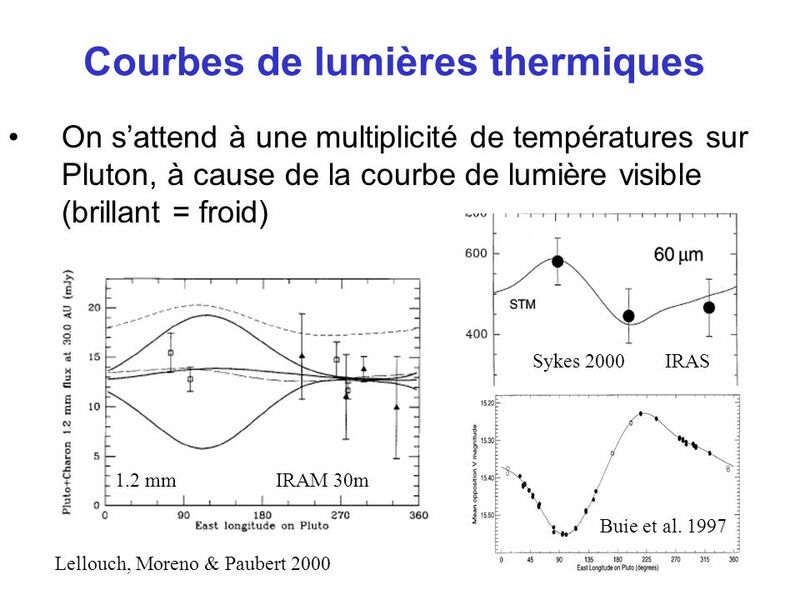 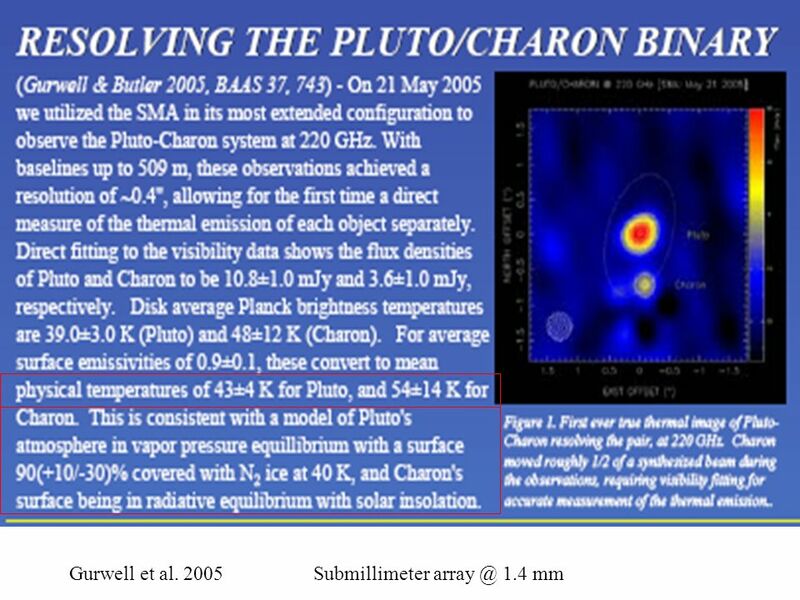 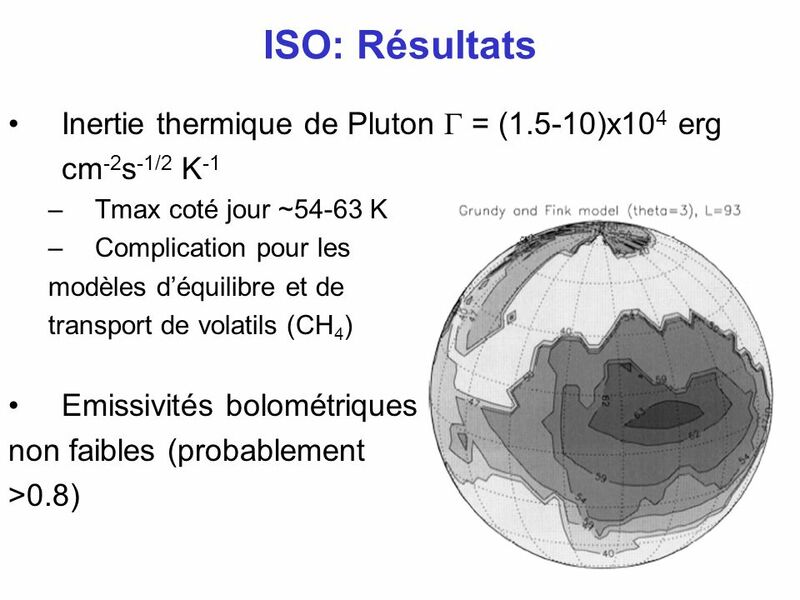 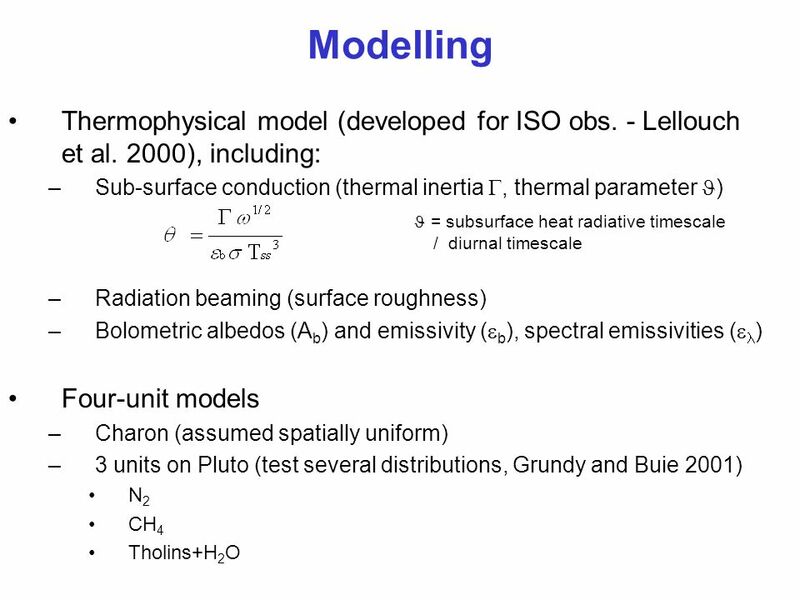 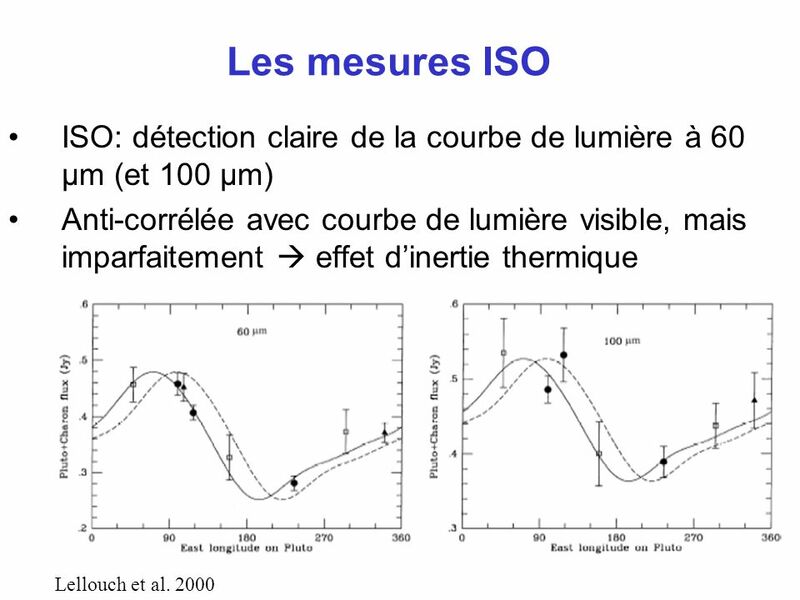 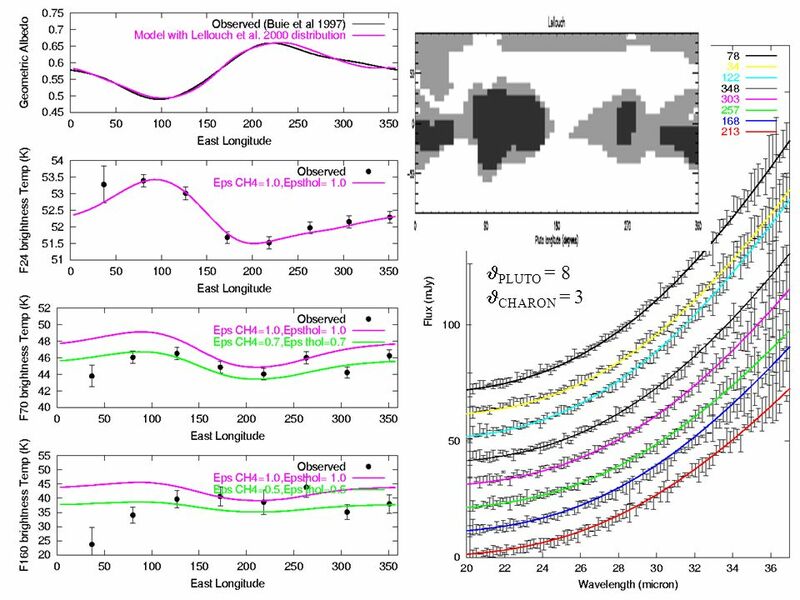 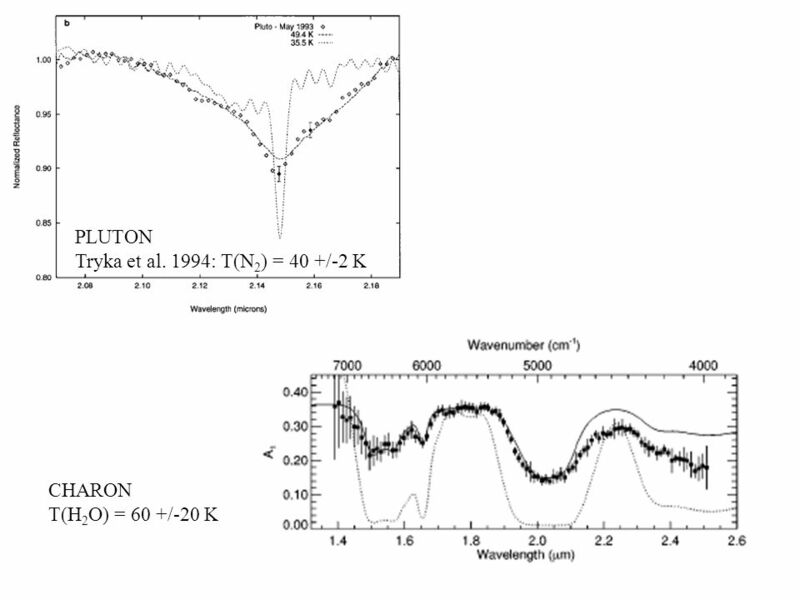 2005): TB = 54+/-14 K Charon is not in instantaneous equilibrium with Sun, but probably has lower thermal inertia than Pluto. 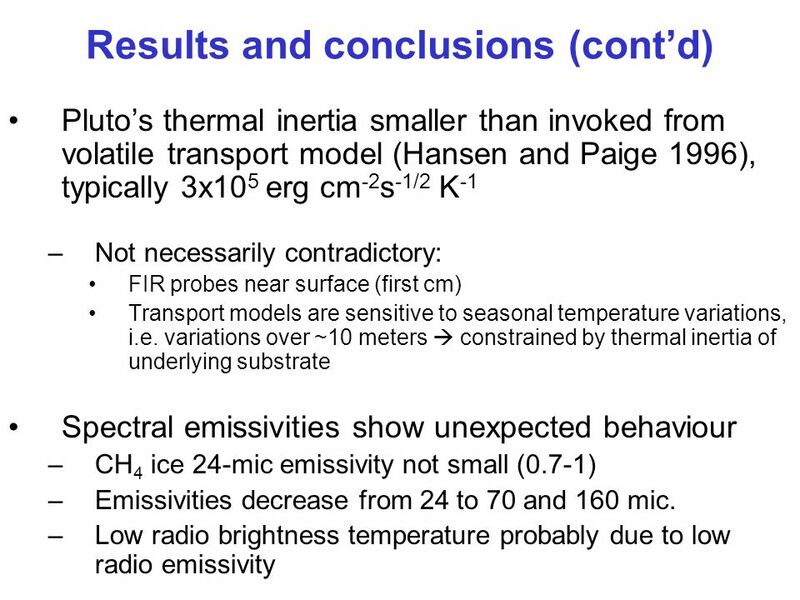 Thermal inertia Much smaller than expected for pure compact ices (e.g. 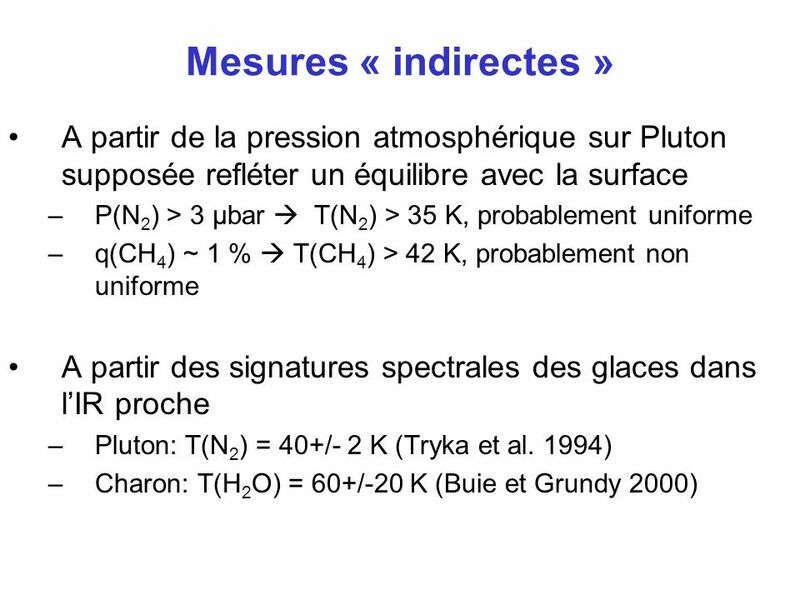 2x106 pour H2O ice)  high surface porosity Pluto’s TI comparable to Moon and Galilean satellites Charon’s TI comparable to Saturn’s icy satellites (~2 times less): Pluto’s TI enhanced by atmospheric conduction in porous regolith? 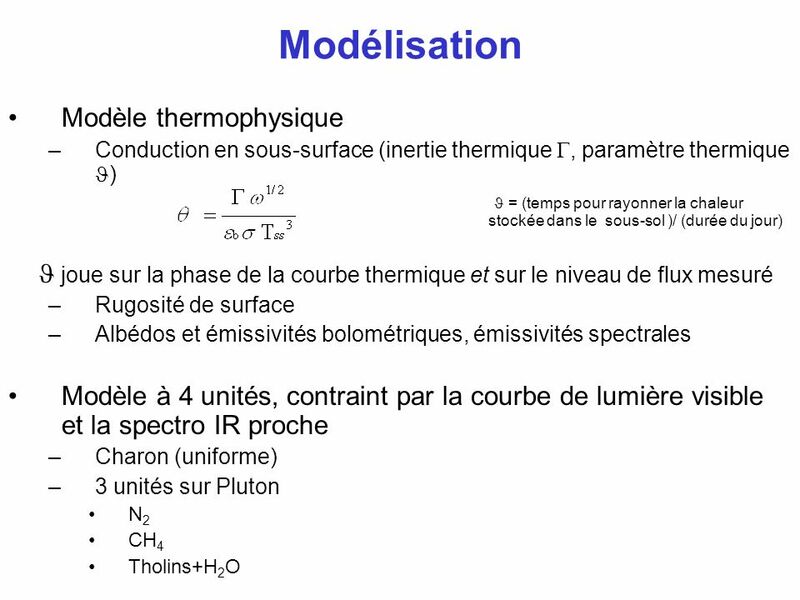 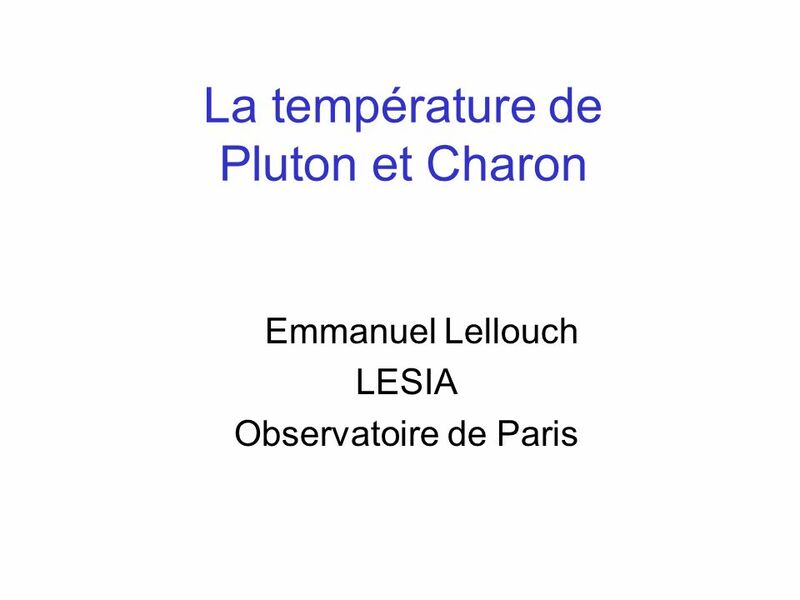 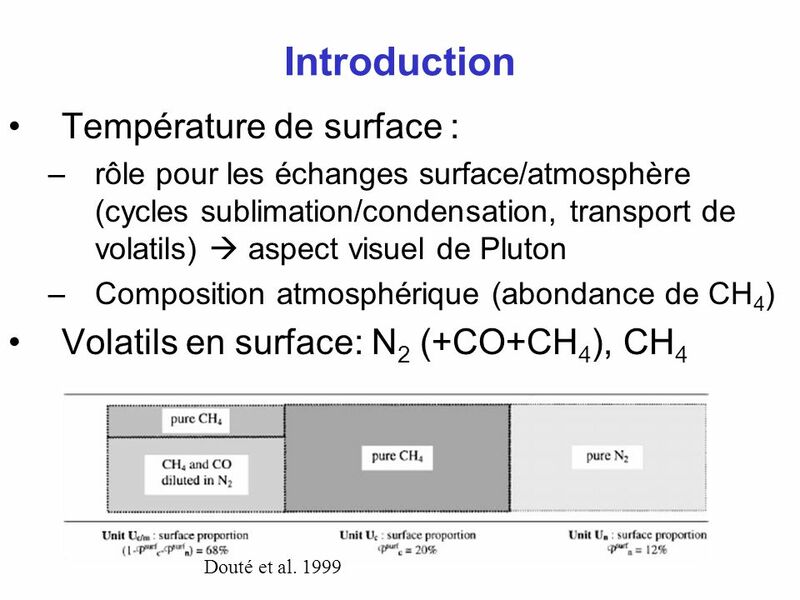 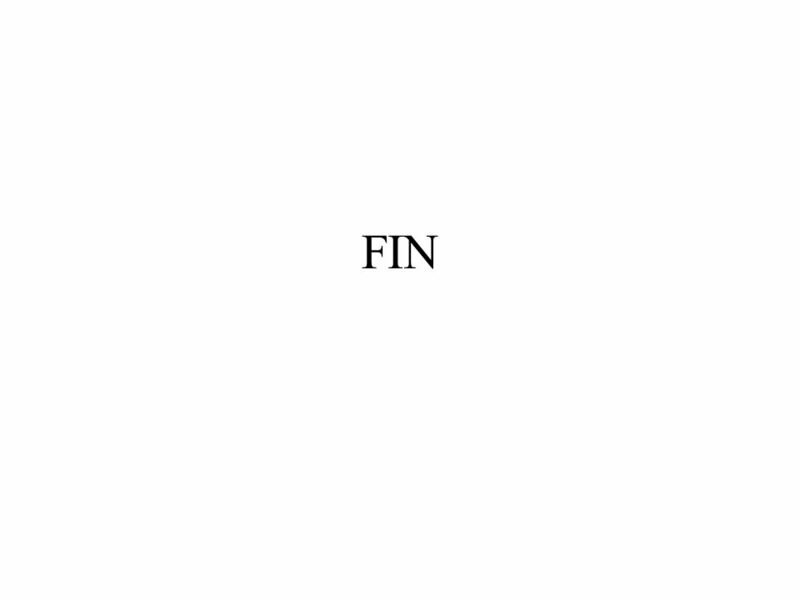 Télécharger ppt "La température de Pluton et Charon"
Traitement données Avion, ChA Essai de Recensement des Données des Avions futurs Christian P. Allet.